The 2006 Winter Olympics start tomorrow in Torino Italy. The motto means swifter, higher, stronger. Stronger made me think of the strength in Strength Based Leadership. Here is the Olympic creed: The most important thing in the Olympic Games is not to win but to take part, just as the most important thing in life is not the triumph but the struggle. The essential thing is not to have conquered but to have fought well. I would like to use the Olympics to encourage you to take part in the Strength Based Leadership discussion group by putting yourself on the map. Perhaps the Olympics will put Canada a little more on the map and get the world ready for the 2010 Olympics in Vancouver. To commemorate the Olympics the Royal Canadian Mint has struck a new Olympic Loonie. The Canadian mint is just down the road from me in Winnipeg and I love the new coin. In honor of the Olympics, to share the excitement, and to send you a little piece of Canada and Winnipeg, I will mail the Olympic Loonie to the first 25 people (from anywhere in the world—that includes Winnipeg) who put themselves on the strength based leadership discussion map. I want the group to be meaningful and helpful and I want the group to have fun and be playful. I thought sharing a loonie with you is a way to symbolize this fun and Olympic spirit and to encourage you to take part.I hope this will be your first step towards fuller engagement in our discussions about strength, love, and energy in leadership. Click here to go to the post on the Strength Based Leadership discussion group that explains the map. If you have any difficulties email me and we can sort it out. (There are already 4 people on the map). Once you are on the map email me with your address and I will send you the coin as swift as I can. 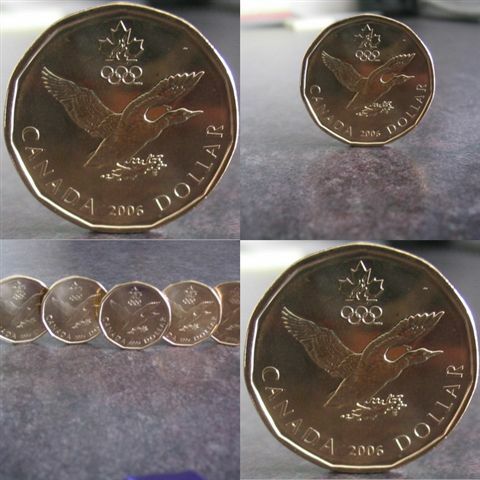 Citius, Altius, Fortius…The Loonie is Flying…Go Canada Go!